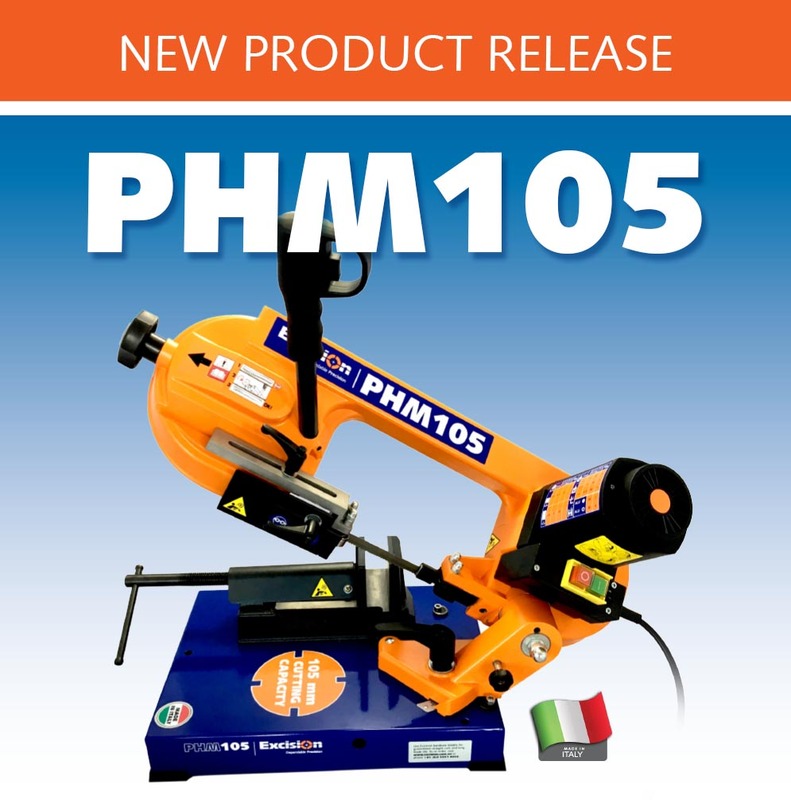 The all new quality precision portable bandsaw machine. 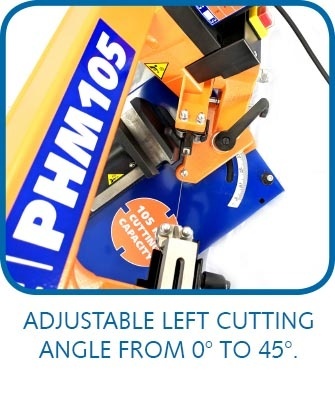 Built tough and dependable for all bandsawing applications. 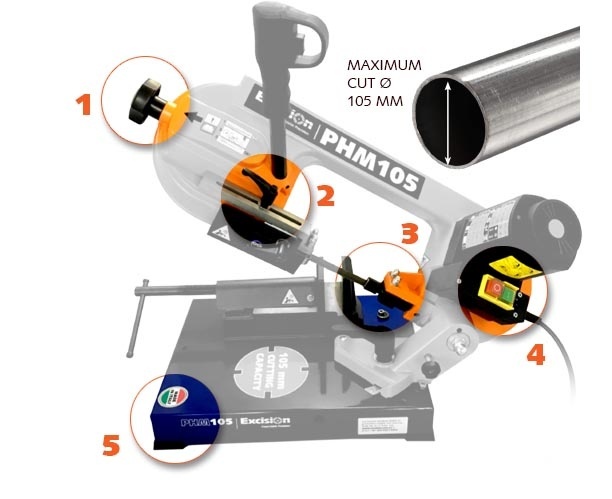 • Greater cutting capacity: Ø 105mm. 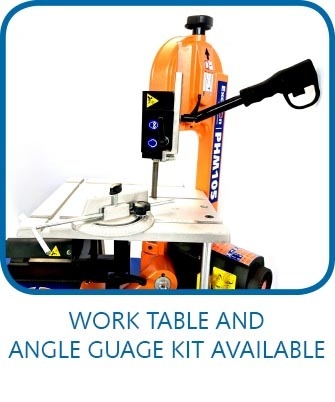 • Practical blade tensioning wheel. • Powerful 850W motor, 2 speeds. 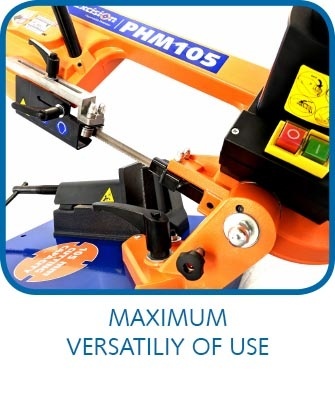 • Bow-locking device for easy handling.